It will be recalled that the Senate of the Federal Republic of Nigeria on Thursday 5th July, 2018, passed the Forensic and Investigative Auditors of Nigeria (Establishment, Etc.) Bill, based on merit, and as the practice, it was transmitted to the House of Representatives for CONCURRENCE. For the benefit of hindsight, it would also be recalled that before the passage of the Bill by the Senate, an all-inclusive public hearing was conducted on the Bill whereby all stakeholders, including Institute of Chartered Accountant of Nigeria (ICAN) were invited to make their presentations for and against the passage of the Bill. Majority of the stake holders supported the Bill including Association of National Accountants of Nigeria (ANAN). For this feat, well-meaning Nigerians as well as those that understand the importance of Forensic and Investigative Auditing in modern day systematic approach to tackle fraud and corruption, which has assumed sophistication due to advancement in technology, wholeheartedly commended the Senate for taken this legislative bold step, which would no doubt impact positively on the way and manner the forensic and Investigative auditing system would be carried out in the country. The Bill was jointly sponsored by Senate leader, Sen. Ahmed Lawan and Sen. Andy Uba. I wish to bring to your knowledge that the antics of ICAN was deployed when the Bill was before the Senate, and was trashed out before the passage of the Bill. The said letter which ICAN caused to be published in electronic and print media was also purportedly sent to the Speaker and circulated among members of the House of Representatives in a bid to solicit the support for what ICAN referred to as the “struggle to protect the sanctity of the Accounting profession”. After a dispassionate and calm analysis of the arguments adduced by ICAN against the passage of the CIFIAN Bills above, we are compelled to forward this rejoinder and to state without much ado that all the arguments of ICAN against the passage of the CIFIAN Bill as conveyed in the letter under reference and in other mediums, are not only misleading but also are precariously founded on deliberate misrepresentation of the laws and facts on the subject matter which the CIFIAN Bill covers. Although no specific provision of the ICAN Act or the Financial Reporting Council Act was cited by ICAN in their letter under reference to buttress the alleged duplication of ICAN’s functions by the CIFIAN Bills, the President of ICAN in his letter under reference alluded to the functions and powers of ICAN which he asserted are so wide and pervasive that it covers the training and certification of its members in areas such as information technology, taxation, forensic investigation, consulting, corporate finance, etc. in these core areas of the Accountancy profession and has produced, in the case of forensic investigation, over 500 certified forensica accountantsin Nigeria… It would therefore amount to needless duplication of functions, waste of scarce and precious legislative hours [to pass the CIFIAN Bills listed above]. (c)​performing through the Council under this Act the functions conferred on it by this Act. The scope and limits of the areas of practice of the accountancy profession is not expressly stated in the ICAN Act but the wordings of the above section and indeed the long title is so restrictive that it gives ICAN no omnibus powers to extend its practice from accountancy into other areas such as forensic investigation, information technology, taxation, limitless consultancy etc in the manner claimed by ICAN president. According to the Black’s Law Dictionary, 8th Edition, accounting means “ the act or a system of establishing or settling financial accounts especially the process of recording transactions in financial records of a business and periodically extracting, sorting, and summarizing the recorded transactions to produce a set of financial records” ( p. 21). (1)​ the power to recognize and grant parliamentary approval to any emerging discipline to exist as an independent professional body is the exclusive prerogative of the National Assembly pursuant to section 4(2), item 49 part I of the Second Schedule to the 1999 Constitution of the Federal Republic of Nigeria, as amended. It is consistent with this prerogative that the Association of National Accountants of Nigeria (ANAN) remains an independent accountancy body pursuant to the ANAN Act despite the barrage of legal protestation to its existence side by side with ICAN. It may interest honorable members to know that ANAN, one of the accounting bodies established by an Act of the National Assembly by virtue of section 315 of the 1999 Constitution of the Federal Republic of Nigeria is in full support of the passage of the Chartered Institute of Forensic and Investigative Auditors of Nigeria. All attempts by ICAN to have the ANAN Act nullified have failed in all the court cases initiated in this regard. (2)​ While members of ICAN are by their training in good position to prepare income and expenditure accounts for companies and therefore should advice on appropriate tax returns, they cannot practice taxation except they apply to CITN for membership upon payment of the prescribed fee. This is in compliance with to the Chartered Institute of Taxation of Nigeria (CITN) Act passed by the National Assembly which now recognizes taxation as an independent profession from accountancy. The Constitutional validity of the CITN Act has also been recognized by all the superior courts in Nigeria and all protestations by ICAN have failed. In spite of this clear position of the law, ICAN has continued to lay claim to taxation as part of its “core practice area’’ and still considers CITN as a hostile and rival professional body. Recently, ICAN advised its members who are members of CITN to shun the stamp and seal introduced by CITN for its members. This is a classic case of professional sabotage meted out to CITN which the National Assembly should not condone while considering the CIFIAN Bills above. ICAN has a long history of intolerance against many professional bodies established by Acts of the National Assembly be it ANAN, CIBN or CITN. The list of ICAN’s perceived professional adversaries are increasing by day because ICAN is not prepared to accept specialization and innovation promoted by other emerging financial management disciplines. 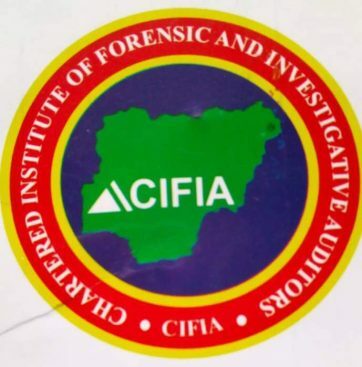 3.​ With respect to the proposed Chartered Institute of Forensic and Investigative Auditors of Nigeria (CIFIAN) which is proposed under the above mentioned Bills, it is important to clarify that CIFIAN is neither an accountancy body nor is it coming as a duplicate or triplicate of existing accountancy bodies in Nigeria as alleged by ICAN. We wish to state for the umpteenth time that the primary domain of forensic and investigative auditing is to work within the investigative process from the scene of financial fraud to the court, providing information and evidence for administration of justice; and to ensure that the courts are presented with the best evidence and reliable witnesses. CIFIAN Bill is necessary to provide the legal framework for the registration, training, regulation and certification of practitioners in the field of forensic and investigative auditing in line with global best practices. (4) The core practice areas of the members of the proposed CIFIAN are forensic analysis of financial statements to eliminate material misstatement, whether caused by error fraud; preventing assets misappropriation scams; global anti-fraud and corruption compliance and enforcement; litigation support and investigation capacities, preparation of forensic reports, fraud risk management, corporate fraud analysis and fraud investigation.. There are Nigerians who have acquired academic degrees in forensic science and would need professional training tailored to Nigerian needs to be able to bring their knowledge to bear on the ongoing anti-corruption crusade. The scope and practice areas for members of CIFIAN under the CIFIAN Bills are therefore unique, specialized, novel in depth, topical in nature and crucial in filling an existing vacuum in the gathering of forensic evidence arising from concealed financial transactions and documents. (5) It should be understood that all over the world, professional bodies exist to entrench excellence, proficiency, discipline and specialization not for mere proliferation as alleged by opponents of the Bill. CIFIAN is coming to fill a huge vacuum in its proposed area of operation, the absence of which Nigeria will continue to spend her scarce foreign exchange to hire expatriate to do forensic auditing in cases of financial and economic crimes. ICAN is currently overwhelmed by its core regulatory mandate over accountants and this explains why the Federal Government and other multinational companies are spending huge foreign exchange on hiring professional forensic and investigative auditors from other countries. It is equally important to emphasize that forensic and investigative auditing do not feature in the qualifying examinations of applicants seeking to become members of ICAN. ICAN remains stuck with courses only relevant to traditional accountancy practice such as Basic Accounting processes and Systems, Practices of Financial Accounting, Public Sector Accounting, Quantitative Analysis, and Cost Accounting with little exposure to the basic principles of auditing which makes such accountants deficient in skills and proficiency required to even function as statutory auditors, talk less of functioning as forensic and investigative auditors. (6) It is wrong for Financial Accountants to regulate the preparation of corporate financial accounts, perform the audit and at the same time conduct the forensic and investigative audit of corrupt and fraudulent accounting practices thereof. WOW!!! It’s like the National Assembly setting up its Executive and Judicial arms within itself, or any of the other arms procuring the services of the others into its governance structure. How can one be a judge in its own case? That’s what it has been doing over the years that put us in this sorry state of one of the most corrupt nations in the world. CIFIA will ensure prevention of fraud to enable Nigeria have money in Treasury for infrastructural development and employment of youths. ICAN cannot continue to be a Judge in its own case in Nigeria and keep preventing others from existing that will fill the existing vacuum, because the sky is too wide for two birds to fly without clashing. CIFIAN believe in live and let us live. (7) I wish to also bring to your notice that, accounting profession has so many branches with different responsibilities. Each of these branches has professional bodies regulating their activities. For instance, Financial Accounting for preparation of financial statements is regulated by the Institute of Chartered Accountants of Nigeria (ICAN) and Association of National Accountants of Nigeria (ANAN). Taxation for preparation of income statement for tax purposes is regulated by Chartered Institute of Taxation of Nigeria (CITN). Cost and Management Accounting for preparation of cost estimates and establishment of weakness and strength of an organization, regulated by Chartered Institute of Management Accountants (CIMA). Auditing which has no professional body regulating it, given the opportunity for financial accountants to claim autonomy and as the matter of fact leads to their inability to control and prevent fraud, corruption and other financial crimes in Nigeria. (8) The separation of the Accountant General’s office and Auditor General’s Office is an eloquent acknowledgement of the differentiation in the preparation of financial statements and regulatory oversight of that other process. By extension, the need to have a professional body like the Chartered Institute of Forensic and Investigative Auditors of Nigeria is a useful addition to the enormous task of checkmating the unremitting influence of corruption, fraud, money laundering and other financial crimes which are not within the regulatory purview of education and training and practice of financial accounting like that of ICAN and others. (9) Global best practice examples today indicates a gradual bifurcation between core accounting bodies and emerging forensic and investigative bodies. For instance in most Commonwealth jurisdictions such as Canada and India, forensic and investigative auditing exists as an independent profession distinct from the existing accounting bodies while in the United States, following the enactment of the Sarbanes –Oxlay Act of 2002 in response to the multi-billion dollar accounting scandals at Enron and WorldCom, emphasis is now placed on the need for independence, objectivity and professional scepticism on the part of forensic and investigative auditors. In England, the Institute of Chartered Accountants in England and Wales (ICAEW) established by royal charter in 1880, Association of Chartered Certified Accountants (ACCA), Chartered Institute of Management Accountant (CIMA) exists separate from Chartered Institute of Internal Auditors, founded in 1948 but granted royal charter in 2010. (10)​ The allegation in paragraph 7 of ICAN’s letter to the effect that the CIFIAN Bills seek to criminalize the age-long practice of accountancy by members of ICAN except they become members of CIFIAN is a mischievous false alarm raised by ICAN to create bias in the minds of Honorable members against the CIFIAN Bill. Since ICAN has failed to specifically cite the offensive provision, we did a dispassionate reading of the CIFIAN Bills under reference paragraph by paragraph but our reading reveals no such offensive provision. (11) The above provision is simple and self-explanatory and should not have been misconstrued except to satisfy an ulterior motive. It is clear that the provision criminalizes impersonation on the part of those who may not be members of CIFIAN but who may decide to fraudulently practice as CIFIAN members using the name, title, membership initials and other privileges enjoyed by members of CIFIAN. (12) It should also be pointed out that a similar provision can be found under section 17 (2) of the Association of National Accountants of Nigeria Act and section 22 of the Legal Practitioners Act. (13) Contrary to the allegation that the promotion of the CIFIAN Bill must have been motivated by private/selfish interest rather than patriotic/ altruistic interests, we wish to state without fear of contradiction that all the promoters of the CIFIAN Bill are driven by the noble desire to make a difference in our existing anti-fraud mechanisms. It is interesting to note that while ICAN appears contented with the current mechanisms for financial accountability and will do everything imaginable to frustrate any agitation for paradigm shift from existing approaches to globally accepted practices, available statistics on the losses suffered by private and public practices as a result of weak anti-fraud mechanisms should ordinarily be worrisome to any patriotic Nigeria, and in furtherance constitute huge worries to ICAN; that with all their confessed financial management knowledge, sophisticated fraud are still being committed in our country. According to the Nigerian Inter-Bank Settlement System (NIBBS) as reported in the Nation Newspaper of June 21, 2018, Nigerian banks lost 12.30bn to fraud in the last four years. According to the Managing Director of NIBBS recorded fraud volume in Nigerian banks increased from 1,461 in 2014 to staggering 25,043 cases in 2017. Where was ICAN when all these were happening in Nigeria? (14) Governments at all levels are losing billions of Naira to fraud and most criminal cases bordering on corruption and fraud are lost partly due to lack of investigators. According to Femi Falana, prosecution of financial fraud in Nigeria is hampered partly by lack of experienced investigators and prosecutors and where they exist they are overwhelmed or overstretched. We need not mention here that government agencies and multinational corporations spend huge sums out of scarce foreign exchange to retain expatriates forensic and investigative auditors to come and unravel complex cases of financial fraud. These are some of the considerations and lapses that necessitated the promotion of the CIFIAN Bill. We do believe that the passage of the Bill will impact positively on the war against fraud and corruption in Nigeria, while helping in redeeming the global image of our dear country with respect to fraud and corruption. (15) ICAN admits that the Accountancy profession is multidimensional, yet claims they can do all aspects better and perfect. This multidimensional is not limited to accountancy profession only, but it applies to Medical, legal and the rest of the professions. In Medicals there are dentist, Cardiologist opticians, nursing, neurologist, etc. In Law there are body for reconciliators and arbitrators etc , and they have not balkanized the Law profession, rather they co-exist with Nigeria Bar Association to promote equity, fairness and justice. In Nigeria we have Police, Road Safety, VIO, Civil Defence, Nigeria Customs Services etc. These bodies have not balkanized Police Force, rather they put synergize for perfect security in the country. (16) It is practically impossible for a professional body to regulate two disciplines as ICAN is routing to do in Nigeria, if not rejected immediately. We cannot trace where Nigeria was sold to ICAN in the history of Nigeria, whereby they want to take law into their hands on issues that is not included in their enabling ACT. 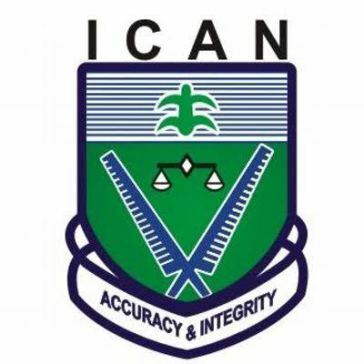 There is nothing like Certified Forensic Accountants of Nigeria in ICAN’s Act. Therefore, ICAN’s certificate in Forensic Accounting is absolutely illegal, and this is like putting a new wine in an old bottle. (17) CRETERIA FOR CIFIAN MEMBERSHIP: For anybody to be qualified to be a professional member of the Chartered Institute of Forensic and Investigative Auditors of Nigeria, such a person must first of all be a member of one of the following professional bodies, ICAN, ANAN, CIBN, NBA, ACCA, CPA, CISA, CFE, CIPFA, etc. However, fresh graduates can also join through normal enrolment into our twelve months training and passed exams from PE 1-PE 4. This is the practice by our parent body in Canada and CIFIAN cannot depart from this. Based on this, CIFIAN is not a threat to ICAN as being ignorantly perceived. (ICAN) Financial accountants’ attempt to claim autonomy has not only led to conflict of interest (as you cannot be both a judge and jury in your own court) but also made them consequentially unable to control and prevent fraud, corruption and other financial crimes. (18). Establishing the Chartered Institute of Forensic and Investigative Auditors of Nigeria will not amount to balkanization of accounting profession in Nigeria in any way, because Chartered Institute Forensic and Investigative Auditors of Nigeria is not another accounting body in Nigeria like ICAN. CIFIAN is anti-fraud body saddled with the responsibility of providing skills to relevant professionals in the use of science and technology for prevention, detection and investigation of fraud, and also put in place some sophisticated mechanisms to prevent future occurrence and illicit financial flows in the country. This is why CIFIAN plays two unique and outstanding roles in addressing fraud in every economy- Reactionary and Preventive roles. In its reactionary role, it seeks to equip existing professionals like ICAN, ANAN, NBA, ACCA, CPA, CISA, CIPFA etc and other Government agencies like EFCC, ICPC etc with latest technological tools, systems and methodologies in tracking and detecting sophisticated fraud, money laundering, public looting and other forms of financial malfeasance, while its preventive roles has to do with training young people on the monumental consequences of fraud, money laundering and embezzlement of public funds so as to redeem our country and hand over a healthy nation to our future generation. From the foregoing, it is clear that the reasons advanced by ICAN against the passage of the CIFIAN Bill are unfounded, misleading and only intended to misrepresent the noble objectives of the CIFIAN Bill, anchored on working harmoniously with other professional bodies in strengthening our public institutions and anti-corruption agencies by changing the existing anti-fraud mechanisms of early post independent Nigeria which have failed the nation in the war against fraud and corruption. Secondly, ICAN is principally designed address traditional Accounting issues or express opinions on financial statements, but Forensic and Investigative Auditing goes beyond and behind figures. Forensic and Investigative Audit is about prevention, detection and investigation of fraud using Forensic technology and global best practices, but Accounting bodies is all about compliance and assurance audit and NOT forensic fraud investigation. That is why the law was helpless in the case of collapsed banks in Nigeria which some were audited by Chartered Accountants Firms. The Act does not empower them to carry out fraud investigation, but ours CIFIAN does. Therefore Forensic and Investigative Audit work starts where traditional Auditors’ work stopped; and this further distinguishes us from ICAN. Therefore, we are strictly fraud Auditors, and our work is different from that of ICAN. Thirdly, we want to state clearly that CIFIAN is not an accountancy body and it is not intended to duplicate the functions of existing accountancy bodies such as ICAN and ANAN. On the contrary CIFIAN like CITN is opened to people of diverse disciplines including lawyers, accountants, police investigators, judges, criminologists, computer scientists and several others involved financial fraud prevention, detection and prosecution. CIFIAN proposes to expose its members to the best skills that will enable them function optimally in the prosecution of the war against money laundry, fraud and corruption. Fourthly, it is beyond doubt that the existing anti-fraud mechanisms mid-wifed by the likes of ICAN right from the early years of the collapse of colonialism in Nigeria, has woefully failed the nation. The time for paradigm shift in response to global trends has come and we urge all Honourable members to make this change possible. Fifthly, we wish to respectfully state here that by design and structural formations, there wouldn’t be any form of conflicts whether intended or imagined between ICAN, Financial Reporting Council of Nigeria, and the proposed CIFIAN Bill. This is because; ICAN and other Accounting bodies are being regulated by International Federation of Accountants (IFAC) whereas CIFIAN will be regulated by a different body called International Federation of Forensic Accounting and Auditors (IFFAA). The world knew nothing about forensic in the 70s let alone in 1965 when ICAN’s Act was established. Therefore there is no meeting point for ICAN and CIFIAN. Those opposing the passage of the above mentioned Bills have failed to indicate clearly where such conflict exists and our dispassionate reading of the Bills reveals no such conflicts. Finally, to avoid quack practice in forensic audit and investigations in future, we hereby call on the Distinguished Members of the House of Representatives to disregards the antics of ICAN, and give possible concurrence to the CIFIAN Bill just as it was done by the Distinguished Members of Nigerian Senate, and posterity will remember all of you for salvaging Nigeria during this 8th Assembly. While appealing for your kind support to ensure the speedy passage of the Bill, accept the assurances of my highest regards, please.